If you’re having Christmas with family and friends at yours this year, then chances are you’ll want it to be perfect. After all, what’s nicer when the weather outside is frightful, than a cosy warm home to enjoy, with lots of nice food, drink and good company. It’s the season for a rest away from all the daily stresses of life and a lovely way to end the year. The problem is though, when the weather outside is freezing cold, it makes you rely even more on your boiler to provide a warm house and warm water, which, of course, means that it’s more likely to go wrong. And if that happens over the Christmas period then it can cause misery all round. A Christmas emergency call out can not only be costly, but if you don’t know who you’re hiring to fix the problem, it can sometimes only make matters worse. In order to avoid the worst happening, it pays to be prepared, so, as it’s still only November, we thought we’d put together some handy tips on how you can help ensure that any boiler problems will be dealt with in the best possible way. Have your boiler serviced by a qualified Gas Safe registered engineer – check out our boiler service package as an example. Put together a list of emergency contact numbers for engineers you can trust who are available 24/7, if and when you need them. DON’T try and fix the problem yourself – unless of course you are a qualified engineer. DON’T panic – there are always people available to help, no matter what time of year it is. Does your boiler have a reset button or on/off switch – if so, give it a try. Are all the power supplies still on? The problem may not be with your boiler at all. Has the pilot light gone out? If so, you can carefully try and relight it following the correct manufacturer guidelines. Are the heating controls and thermostat on the right settings and working correctly? Are your outside pipes frozen? If so, pour warm (not boiling) water over them and then restart your boiler. If you have a gas leak – DO turn off the gas using the emergency control valve which is located near the meter, ventilate your home well, no matter how cold it is and NEVER light a naked flame. 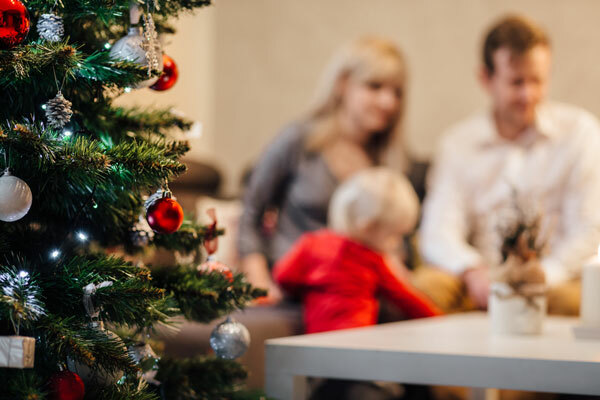 Focus on being prepared this Christmas and have peace of mind that you, your family and loved ones will be warm and safe over the festive period. Get your boiler serviced now by one of our Gas Safe registered engineers and then sit back, relax and look forward to the weeks ahead.